Amusement parks have all sorts of crazy rides designed to take you to through various levels of thrill and excitement and test your limits. The rides defy gravity, put you off balance, take you through new heights and toss you around through multiple degrees of freedom. When you finish the ride, you’re still coming to terms with the relatively still ground. 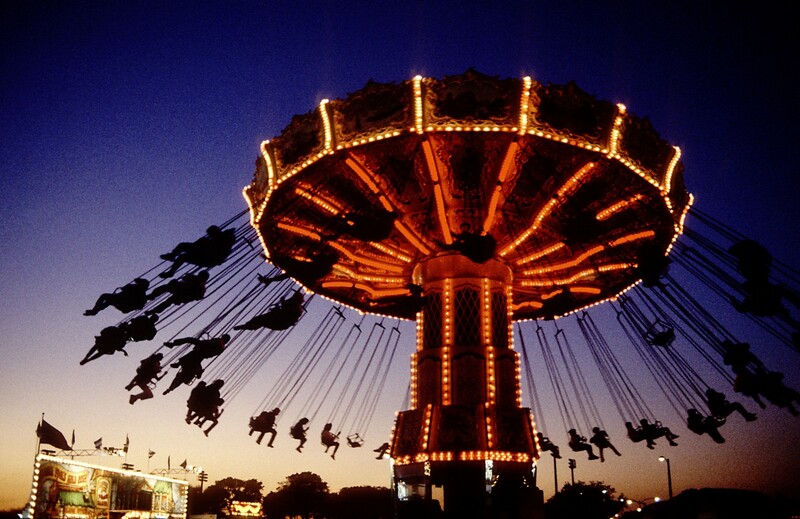 Why do you think your head spins for sometime even after the ride has ended? Why does the spinning motion make you dizzy? Your hearing organs – the ears are not just for hearing! Ears, in co-ordination with the eyes and the brain, maintain the ‘Equilibrioception’ or the ‘Sense of balance’. 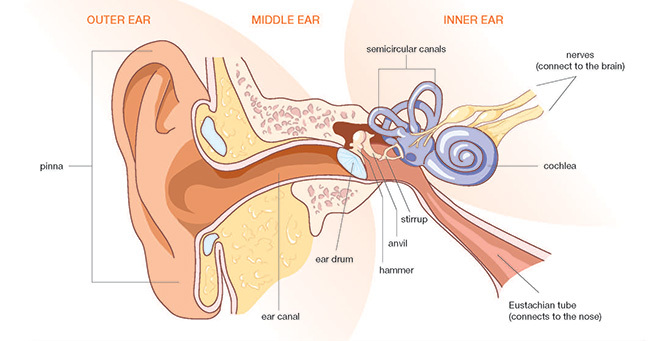 The ear is divided into three parts – the outer, the middle and the inner ear. 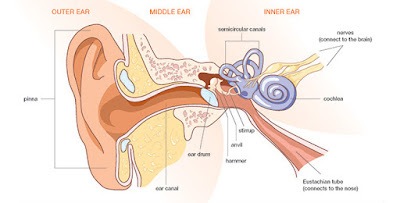 The Middle ear – has the three musketeers known as Ossicles. They are called the Hammer (Malleus), Anvil (Incus) and Stirrup (Stapes) (because that is what they look like). These bones vibrate and pass the sound as vibrations to the oval window of the shell shaped Cochlea. The inner ear- is the one responsible for the sense of balance. The inner part has the three loopy semicircular canals that contain fluid called Endolymph. Each of the semicircular canals lies at a different angle and is situated at a right angle to each other. The semicircular canals deal with different movement: up-and-down, side-to-side, and tilting from one side to the other. All contain sensory hair cells that are activated by movement of endolymph. Each hair is connected to a nerve cell that carries signals to the brain and alerts it about the motion. Now, the question is why spinning makes us dizzy? When you spin, the fluid in your inner ear starts moving too. The moving fluid causes the tiny hairs to bend. These tiny soldiers signal your brain about the spinning motion. When you stop moving, the Oh! So energetic Endolymph keeps moving due to the law of inertia of motion. The sloshing of the fluid moves the hairs the other way round which tell your brain that you are still moving, thus making you feel dizzy or off-balance. As the Endolymph stops moving with time, we tend to feel normal again. You would have seen ballet dancers or ice skaters spinning like a top and yet standing straight. Well these people tend to get around this problem by keeping their eyes locked on a fixed point and whipping their heads around when their neck can’t turn any more. This is known as the Spotting technique. Their eyes trick their brain into feeling like still. In this case, the Endolymph doesn’t have a chance to move around and alert the nerve cells to tell the brain that the head is spinning. Hence they do not feel dizzy. The next time you want to spin, try the spotting technique to avoid feeling dizzy. Happy spinning!